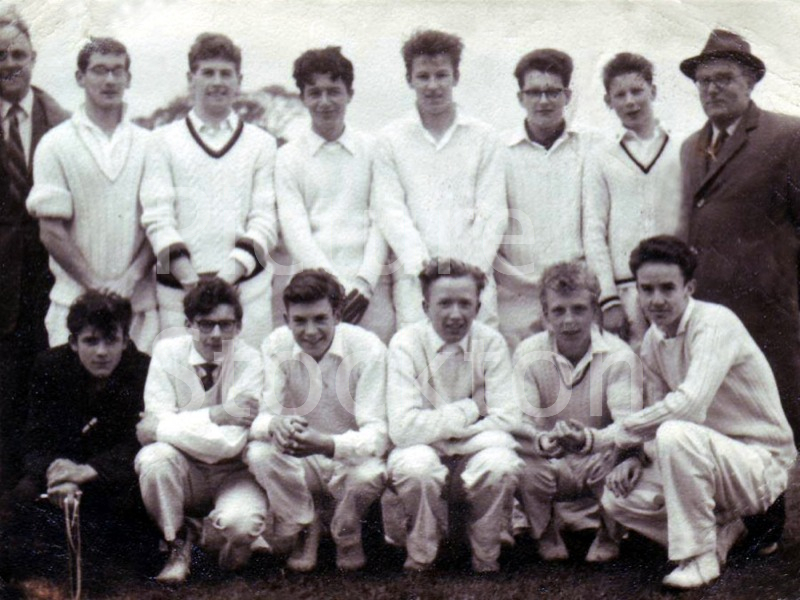 Stockton Grammar School cricket team. 1961. Anon is quite right my brother Keith (Curly) Webster was the first Stockton Grammer School boy to play for Stockton Boys, but Frank Bowron is not quite right, he left school at 17 in the middle of a school term he went back to take re sits of GCEs. He did sign for Newcastle, but in 1969 he went to Australia and played for Juventus in The Victoria league. He then went onto coaching and is now watching some of his proteges in the new soccer leagues they have now. He is still working but not coaching anymore. Just been out to visit him. Curly Webster left the school early after a trial with Newcastle United. I believe he’s a PE teacher in Australia these days. I think you’ll find Keith Webster was the first Grammar lad to play for Stockton Boys late fifties against Eston Boys at South Bank. Alan Cornfield the 12th man lived in Alma Street. Dai Davies & Keith Webster were also good footballers that were not elegible for the Stockton Boys team. Frank CAIN Headmaster- Taffy EVANS R.I teacher Stockton Grammar School v Grangefield school. June 1961. Stockton Grammar School were short of players so this was a makeshift side, not all were cricketers. Cliff ROBSON-Teddy FOSTER-?? -Dai DAVIES-Doug ROXBURGH-Lawrie ORPEN Alan CORNFIELD 12th.man. -David FAWBERT-John TODD-John SHAW-Keith WEBSTER-Rodney WELLS.